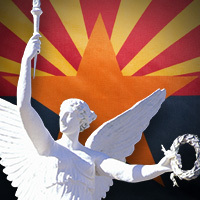 (Phoenix) The Arizona Association of REALTORS®, which represents more than 40,000 real estate professionals, today released its 2014 primary election endorsements for the Arizona Senate and House of Representatives. The Arizona Association of REALTORS®, the largest trade association in Arizona, is pleased to endorse 30 Senate and 47 House candidates. The Arizona Association of REALTORS® is the largest statewide organization of real estate professionals. United by adherence to a Code of Ethics, their members work as real estate professionals in the sale, lease, appraisal and development of residential, commercial, rural and resort properties throughout Arizona.